Mineral Resources Minister Gwede Mantashe has established a team to probe allegations in Mpumalanga, Limpopo and North West. The mineral resources department today announced that it had taken a decision to close its Mpumalanga regional office from Monday until further notice following feedback received from clients on the challenges they face at that office, relating mainly to backlogs in the issuing of licenses and allegations of corruption. 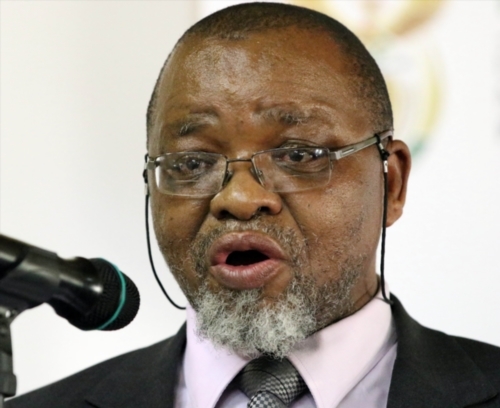 In July, Mineral Resources Minister Gwede Mantashe established an investigative team to probe allegations in Mpumalanga, Limpopo and North West. This stemmed from feedback received by the department during provincial engagements on the Mining Charter where allegations of double-granting of licenses; second, allegations of improper application of Section 54 of the Mine Health and Safety Act and, last, the backlogs in the issuing of licenses were made. An official was suspended pending an investigation after abuse of power by allegedly issuing section 54 notices and demanding financial compensation in return for their lifting. The department said that the closure of the office will allow the investigation team set up by Mantashe an opportunity to do its work in the region and provide feedback to him in due course. “As such, all administrative processes related to that office will be handled from the head office until further notice,” it said.